Our boats are provided with the best equipment. Our Skiffs Red Fisher 18F by Hewes ensure you comfort and safety. For the most demanding fishermen, in search of large pelagic for blue water fishing. 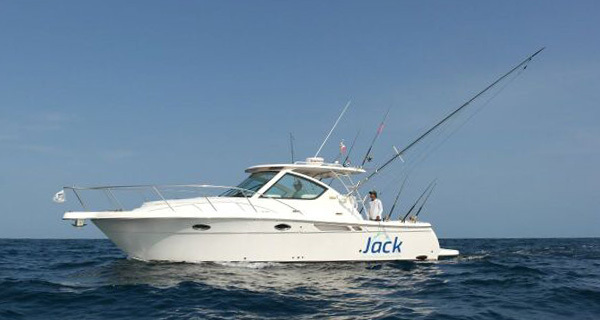 The Tiara 3100 is one of the best fisherman ever. With its hull cutting through the rough seas, advanced equipment, outriggers and as well as live bait tank, this is the boat for authentic fishermen of Tuna and Giant Marlin. JACK FLY FISHING LODGE MALDIVES requires a 50% deposits to secure reservations. An invoice for final payment will be forwarded with the balance due 60 days prior to arrival. Reservations are not confirmed until proper deposit payment received. Payments can be made via wire transfer to our bank. Additional charges and expenses incurred while at camp will be payable directly to JACK FLY FISHING LODGE MALDIVES. A deposit is due within 20 days of booking to secure reservations. An invoice for final payment will be forwarded with the balance due 60 days prior to arrival. Deposit is refundable, less a fee of US $1000.00 per person if written cancellation is received more than 90 days prior to arrival. If cancellation is received between 45 days prior to arrival, deposits will be applied in full to a future trip to taken within one year of original date. If cancellation is received less than 45 days prior to arrival, the deposit is non-refundable unless a replacement for the client is found. Unused portions of hotel and/or other service not taken by customer’s choice or fishing canceled as a result of inclement weather and/or acts of God are non-transferable and non-refundable. Any payment to JACK FLY FISHING LODGE MALDIVES shows acceptance and acknowledgement of the terms and conditions as stated! JACK FLY FISHING LODGE MALDIVES will not be responsible for and will not issue refunds or credits for the following: early departure by customer's choice; fishing cancelled as a result of inclement weather; damages or costs resulting from postponed flight times, including but not limited to missed transportation connections; or for errors herein. 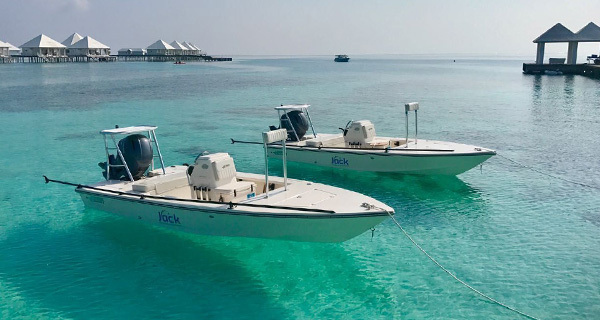 Furthermore, JACK FLY FISHING LODGE MALDIVES will not costs incurred as result of passenger's failure to supply proper identification for entry or participation requirements. It is he passenger's responsibility to comply with all customs and immigration laws. Valid Passport: more then 6 months to expiration date. Are left to the discretion of the guest. Because guests often ask for guidelines, the following is suggested: US $50.00 to $75.00 to the guide per day, per boat given directly to the guide. Rods and reels are with no charge, in order for the customer to use JACK FLY FISHING LODGE MALDIVES gear the user will have to Singh a release that in case of Broken or damage Rod will pay full price and take the rod to claim the warranties directly with Sage. In the case of damage or brake fly line the user will need to pay full price from our Fly Shop.